Educating in the 21st Century: Novelty or Innovation? 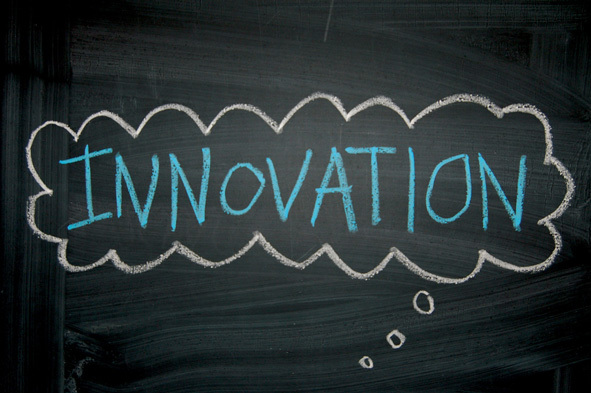 "Real innovation changes the course of industry or even society." In his book, 'Start with Why', Sinek (@simonsinek) references many examples from the business world (Motorola, Colgate, Apple) that we can draw parallels to in education. As I listen to and participate in conversations face-to-face and through social media I sometimes wonder if our quest to create innovative approaches to learning has somehow resulted in our overemphasis on the shiny new tool. Is it good to be a trailblazer and be on the leading edge of a new approach to teaching and learning? Of course! However, we should also strive for our new approaches to lead to lasting improvements for all learners. The newest laptop, the most recent version of the iPad...these are examples of shiny tools with added features, but in short order they will all be replaced. It wasn't long ago that the first iPad was being introduced and now people have the iPad 3, equipped with new features, in their hands. When it comes to added features, Sinek writes, "They are added in an attempt to differentiate, but not reinvent." So the question to ask before investing big dollars in the latest technology is whether the tool will help the teacher 'reinvent' education for today's learners or simply be a temporary engagement 'fix' that learners will become bored of once the technology is replaced? I'm as guilty as anyone else of being dazzled by the most recent shiny tool. I enjoy the flexibility of working from my iPad, MacBook or smartphone, depending on where I am and what I plan to do. But, it's not the shininess of the tool that has captured my long term attention. Instead, over the past few years these tools have supported my shift to become a globally connected learner. On a daily basis my network of educators exposes me to new ideas, challenges my thinking and inspires me! Is the technology itself engaging? For a while it was! But what keeps me coming back to these tools is that they have helped accelerate my learning. In other words, the way in which I am learning is the focus of my shift and the tools are simply supporting this shift. In schools, we need to be approaching investments of time, energy and money with similar thinking. We're better off encouraging innovations in pedagogy that can be accelerated through the use of new technology instead of focussing on the learning of a new technology without a shift in pedagogy. Supporting teachers in their learning of new pedagogies such as inquiry-based learning or project-based learning, that can incorporate and be accelerated by technology, will lead to lasting advances in teacher and student learning. We should be supporting teachers' attempts to transform their students into active learners who are proposing questions, seeking answers and creating solutions to their own problems. And if their students' learning can be accelerated by becoming globally connected and they can share their learning by having access to creative presentation tools then we should be investing in the technology that allows them to do so. While simply investing in the latest tools and training teachers to use the tool may lead to temporary improvements in teacher and student engagement it will not magically lead to a pedagogical shift. Consequently, teachers and students will likely revert to traditional forms of teaching and learning when the novelty of the tool dies down. New frameworks for learning will demand our investments in technology. Investments in technology won't demand new frameworks for learning! "New frameworks for learning will demand our investments in technology. Investments in technology won't demand new frameworks for learning!" I don't agree the "investment in technology" will change our framework for learning, but I think technology can change learning significantly. Think of how you are learning now and even sharing this blog? Did that exist before? I think that we have to focus on the learning but we also have to see how the technology can change and shape this as well. Think of the idea of transformative learning? Has our investment in technology changed that framework. I totally believe that we have to think about why we are purchasing what we purchase before we do it, but I also believe we have to look at how our investment in technology can actually create a new framework for learning. Does that make any sense? It is Friday so who knows! Thanks for sharing your thoughts! Hi George, thanks for the comment. As I re-read my find, statement I'm thinking I should alter it slightly. 'WE SHOULDN'T EXPECT investments in technology will demand new frameworks for learning.' I believe we need to be very thoughtful when investing big dollars in technology because we have all seen shiny tools stuffed in the corner of a classroom, covered in dust and completely forgotten. In these instances, the 'cool' tool may have lost it's novelty or it may not have been part of a larger plan. My hope is that when educators invest in technology, they are investing in the technology as part of a larger plan that I believe should include improvements in pedagogy. If the technology plays an important in stimulating the shift in pedagogy, great! The mistake I don't like seeing is when educators invest in technology, assuming that the technology will force a change in pedagogy. As much as I'm a fan of technology and I know it has supported my ability to 'connect', I purchased the technology knowing many of the things I hoped to do with it and how I would use it. The technology itself didn't make me join twitter or start a blog, but what it does do is allow me to do tweet and blog more conveniently and more often. In some ways, whether to invest in pedagogy or technology can be a bit of a circular argument I guess. I know you and I would both agree that we think good pedagogy should be leveraged by the use of technology. In the end however, I think we'd also agree that good teaching still outweighs the best technology. Aaron - thanks for your comment. "Good teaching still outweighs the best technology". Absolutely! With the techno frenzy, the competition to the get the best and newest first, your post allows for a much needed pause button. Yes we must move but we must move with intentional mindfulness both in pedagogy and technology. Thank you sir! 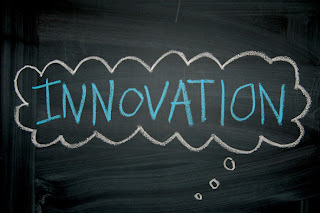 What comes first the innovation or the technology? Hi Gallit, thanks for commenting! At some point, I would agree that this can become a bit of a chicken/egg dilemma. When a person is engaged in what they are doing, learning for themselves and truly inspiring others to learn then an investment in technology may lead to even greater progress. That said, I also think there has to be a starting point for each person. And for educators, I think the starting point is a desire to continually improve pedagogy. Once an educator gets going along these lines, then either an investment in new tools or in other forms of professional learning will be very valuable in triggering even greater innovation.